I really enjoy creating things, art, whatever you want to call it. I can't draw my way out of a box, but give me some materials and I am good to go. I have discovered I don't care what medium those materials may be, as long as I can manipulate the into something pretty. In my life I have tried my hand at quite a few things: hook and latch, sewing, photography, scrapbooking, card making, mixed media, painting, crotchet, probably some I have forgotten, and now digital design. Who knew it would be so much fun?!?!?! 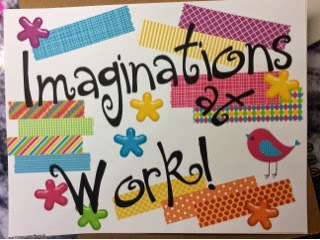 Clip Art, Design Elements, Digital Papers, Fun Fonts... all put together to make art. I am hooked. So what does this have to do with my classroom you ask? Read on. One of my classroom goals this year is to blend play into the content areas as much as possible. It is so easy to get carried away with the academic expectations. I strive to make those interactive and engaging, but I want to add more play elements this year. Besides, I need to be reminded of that as well. I searched Pinterest and Google for meaningful quotes about the importance of play. I found several by notable people in education. The next step was to design a way to display them round my room. Since my theme is more about being colorful; I decided to make Subway Art. I got to play with my wonderful fonts and all the great clip art I have been collecting for a couple of years. Here is my favorite piece I created. I tried to design it as a child might, not concerned with it being straight, not caring about the placement of the pieces, just making it fun and pretty. My printer does borderless printing, so I printed this, and the others I made, out onto card stock. I fired up my personal laminator, everyone needs one of these, and laminated them all. You see, even my desk has been stamped. Actually, that is a piece of acrylic that covers the white desk. I did stamp on the surface so the desk doesn't look dirty when I am stamping or painting. This is the messy side of the office/studio. 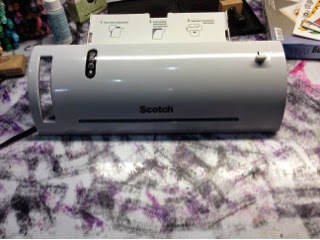 The advantage of the personal laminator, less cutting. For the Subway Art, I am leaving the border of laminating film. Other options would be to print the Subway Art, trim off the border, mount on colorful paper, and laminate. You could also print them as a large format poster, the options are available in Adobe Reader. I include the directions in the Subway Art files on TPT. I have posted several posters in my TPT store. Including the one shown here, which is a FREEBIE. Stop by and pick some up for your classroom.